How did people travel to Grand County? How did they get around? Click on the drop-down menus and take a little trip through history. United States Geologist F.V. Hayden visited North Park briefly in August, 1868 in company of a small party of Army officers from Fort Saunders. 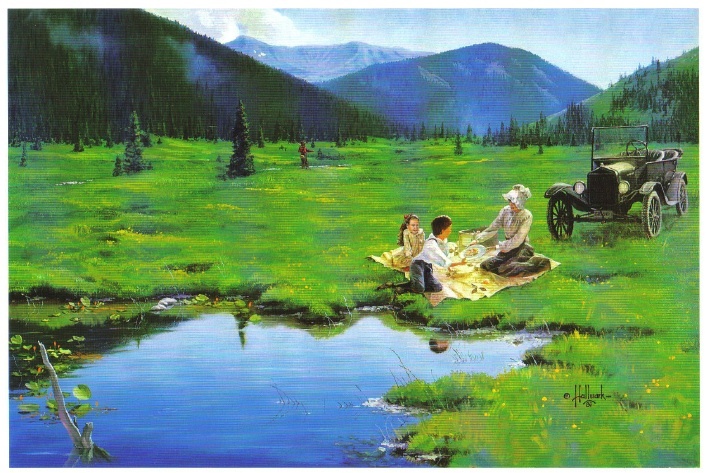 The campsite he described on the Big Laramie River is where the Boswell Ranch was later established. 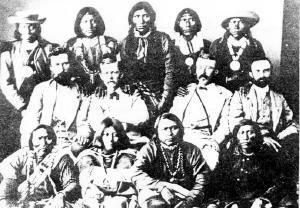 They crossed the river at that point and entered North Park after following the Cherokee Trail twenty-five miles. The trail from Boswell angled across Beaver Creek and Bear Creek to Chimney Park and then turned southwest to the neck of the Park. It became North Park's main connection to the outside world. In 1879, the year of the great fires, naturalist George Grinnell hired a teamster with a stout team and a Studebaker wagon to take him to North Park from Laramie. By then wagon trails were numerous in the Park, probably created by market hunters who, in turn, likely followed travois-trails made by Indians. 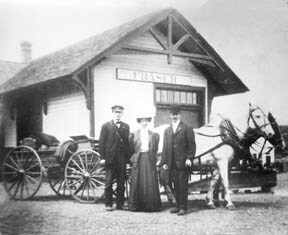 Stagecoach service between Laramie and North Park started in May, 1881 with tri-weekly trips by Concord coach to mining community of Teller City. The scheduled time for the trip was fifteen hours without any stoppage except for meals and to change horses. 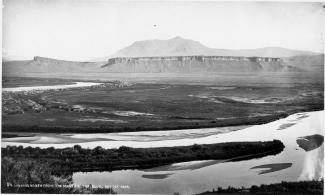 After the mining activity at Teller slowed down the stages ran from Laramie to Walden. Travel time was about twelve hours with three drivers on the route and five changes of horses, coming and going. The Laramie-Walden stage had the best record for continuous service of any in the west in 1907. At that time the mail had been carried six days each week for more than six years without missing a trip, although weather and roads had sometimes delayed the arrival of the stage until 2 or 3 in the morning. That is a remarkable record considering the weather conditions the stage traveled in. The editor of the Walden newspaper once described the Laramie Plains as a place "where the wind blows 400 days out of the year--sometimes with a speed and force that turns over wagons and miles of barbed wire fence." During the winter months the stage would typically start from Laramie with a coach with wheels, transfer to a coach with sled runners at a point above Boswell when the snow got deep, and then transfer back to a coach with wheels when the snow ran out in North Park. North Park had a public transportation system a century ago. From Walden local stages carried the mail to the various post offices scattered around the Park. Passengers could ride on the mail stages, so a traveler could get off the train in Laramie or Granby, take the stage to Walden and the next day catch a ride with the local mail stage to any place in the Park mail was delivered. During the winter months local travel was by team and sled, skis or snowshoes. 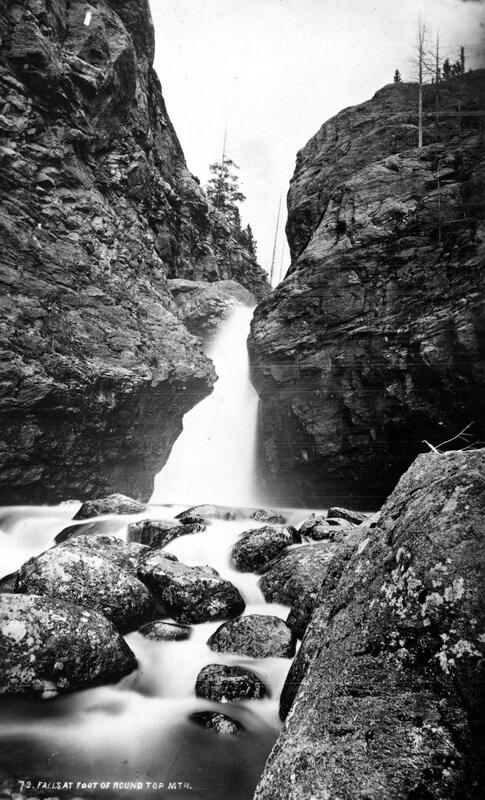 Willow Creek Pass became an important travel route for North Park after the Moffat Railroad reached Hot Sulphur Springs in the fall of 1905. Dave Gresham established a road ranch for travelers near the top of the Pass. J.W. Welch, the Rand merchant, soon had two freight outfits running between Rand and Granby and tri-weekly stagecoach service between Walden and Granby started in the spring of 1908. Passengers left Walden at 6 a.m., spent the night at the Nixon cabins on Willow Creek Pass, and arrived in Granby at 11 a.m. the next morning. Wagon loads of oats from the Yampa Valley were freighted into the Park over Buffalo Pass. Construction of a road over Rabbit Ears Pass was still several years away. Cameron Pass was a major transportation route in the days when Teller City was booming. By 1879 it was obvious that the Park would soon be settled and Fort Collins businessmen were urging that a road to North Park be built to secure the travel and trade of the region before a trade route developed through Laramie. 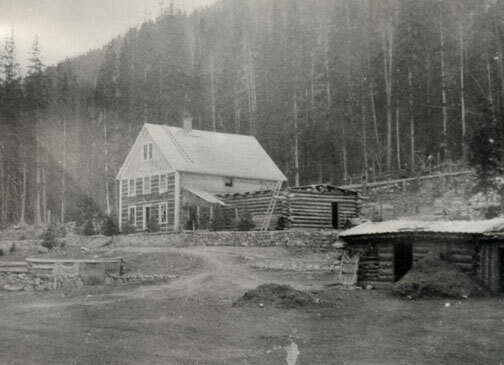 A toll road was completed over Cameron Pass by 1881. There was a charge of $2 for each vehicle drawn by one horse, ox or mule passing through the toll gate at Rustic. A single span was $3 and any additional horses $1 each. Business was brisk for only a few years and the road was opened to free public travel in 1902, but by then the public was using the road over Ute Pass and the road over Cameron Pass soon fell into a state of disrepair. While a few automobiles ventured into North Park each summer, there is no mention in the early newspapers of anyone in North Park owning one of the contraptions by the spring of 1909. There was one steam tractor in the Park and bicycles were popular. For many years Denver longed for its own direct line through the continental divide, linking the city to the west coast. In the 1860s, Denver was slighted by the Union Pacific(UP), when the company chose Cheyenne as the major hub for the prized Transcontinental Railroad, before it snaked through the Rockies. Fortunately, the city fathers of Denver did not give up on making their city the center of the Rocky Mountain Empire, as they risked financial disaster by bankrolling a spur line to the main route in Cheyenne. Denver may not have had their direct route to the west and the fortunes that lay on the other side of the divide, but the city was not dead. For Grand County, the U.P. 's decision not to penetrate the formidable barrier of Colorado's mountains had a much greater impact. As it stood Grand County had no for seeable future of gaining a rail line. This meant that the only means of transportation into or out of the county was by pack animal or foot. Furthermore, without a line to Denver, there was virtually no practical way for industry to develop in Grand County. In 1904, Denver and Grand County's long awaited dream of a direct line through the mountains and on to Salt Lake City began to materialize. The Moffat Railroad had risen over Corona Pass and descended into the Fraser Valley. 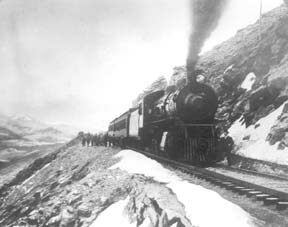 At the time Corona Pass was the highest rail pass in the world. Along with this fact came the troubles of maintaining such a wonder. The route was challenging to keep open in the summer with the violent storms that are prone at such a location. In the winter the line would close all together. Adding to the trouble of the unpredictable route was the fact that Colorado's economy of the 1870s was not the same in the early 20th century. 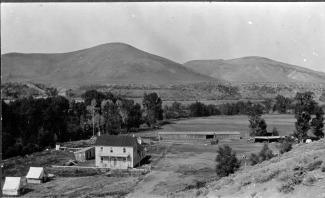 In the 1870s, much of Colorado's mineral wealth was centered directly west of Denver in Central City and Georgetown. By 1880 many of those mines began to play out. Furthermore, production shifted to the silver mines of Leadville and the Arkansas Valley. As a result, rail traffic favored Pueblo over Denver. Pueblo was situated on the plains as the Arkansas River exits from the mountains, eliminating the need for boring tunnels or climbing over arduous mountain passes. In addition, Pueblo was close to the coalfields that were essential to power the locomotives. Also, the city was the site of the largest steel mill west of the Mississippi, which supplied rails for the sprawling network. Finally, Pueblo's smelters boomed when many others withered after the "Silver Panic" of 1893. At the same time that depression gripped Colorado and silver was devalued, gold was discovered in Cripple Creek. Within a few short years the new gold camp would become the world's largest producer. As a result, nearby Pueblo would reap the benefits by converting from silver to gold, to become the smelting capitol of the nation. By the early 20th century, Pueblo's status as an industrial powerhouse and rail center threatened Denver's status as Colorado's "first city." This was even further evidenced by the "powers-that-be" in the northern part of the state being unable to convince the rest of Colorado to finance a tunnel under the continental divide west of Denver. Time and again legislation that would fund the missing link between Denver and the western slope was defeated in the statehouse by those in southern Colorado who were content with their established web-link. Barring a miracle, it looked as if Denver and Grand County would have to settle for the unreliable Moffat line over Corona Pass. In 1921 that miracle would rush in, due to un-for-seen misfortune upon Colorado's "second city" in the south of the state. Cross headquarters, where they were fed and allowed to rest." The scene in Pueblo was like those witnessed in New Orleans after Hurricane Katrina or the notorious San Francisco Earthquake in 1906. As Pueblo dried out in the days that followed, plans were immediately being drafted in the statehouse to assure that the devastated city would not befall a future wrath from the Arkansas River. Seizing upon the opportunity presented by Pueblo's misery, interests in Denver, Grand County, and others in northern Colorado saw fit to take advantage. As the discussion of flood control in the south dominated state legislation the notion of a tunnel under the continental divide west of Denver resurfaced. According to Ubbelohde, Benson, and Smith's book, A Colorado History 8th Ed., a "special legislative session made history." Attached to the act that created the Pueblo Conservancy District, northern lawmakers added the Moffat Tunnel Improvement District. As a result of the passage of these two distinctly different special tax districts in a single signing by Governor Shoup, the long sought after western passage would be built. With the tunnel Grand County would finally be open to the outside world by a year round and reliable link. 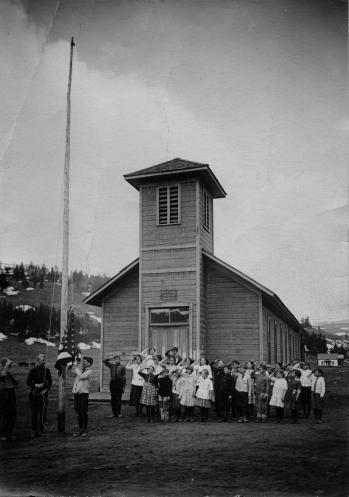 A little over a hundred years ago the few residents of Fraser were awakened by a sound new to their town. The railroad had finally arrived in 1904, just over 30 years after it had first debuted in Denver. That same blaring horn, followed by the rumble of iron wheels on rails is waking up the good town-folk of the Fraser Valley today. As the local Manifest has documented recently, many residents have long been annoyed by the noisy disruption the train makes as it announces its passing through town. Additionally, parents of school children rushing to Fraser Elementary School in the morning can attest to the intrusive obstacle the slow moving behemoth becomes at 7:20 in the morning. A hundred years ago, residents of the Fraser Valley complained loudly of the intrusion of the iron horse on the tranquil lifestyle. It has long been rumored that the course of the railroad was determined by an angry old timer by the name of Billy Cozens. 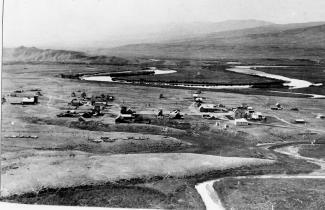 Cozens was a pioneer of the valley having homesteaded his ranch in the area in the early 1870s. According to legend, when the engineers were surveying the route of the future Denver, Northwestern, and Pacific Railroad through the valley, Billy Cozens bullied the crewmen into the woods. As the railmen would lay their flags for the roadbed, Cozens, an expert marksman, would shoot the markers out of the ground. As the story goes, this was the reason the tracks were laid through the forest, rather than the meadow. The reality of the chosen route for the D.N.&P. was due to grade and not fear of the rifle. Whether Cozens despised the railroad is anyone's guess. According to Robert Black's book, Island in the Rockies, the railroads designing engineers actually consulted Cozens concerning the lack of snow on the continental divide. Regardless, the rumors have persisted over the years about the "Old Sheriff's" contempt for the railroad. It has even divulged to me that the ghost of Billy Cozens will not allow anything concerning the railroad in his former home, the Cozens Ranch Museum. Whenever railroad exhibits have been attempted they have mysteriously vanished and were never seen again. As far as the townfolk of Fraser were concerned, many of them regarded the railroad as an opportunity that had eluded the region for years. Unfortunately for Fraserites, their town was to be bypassed as the major hub for the area. Further down the valley Tabernash was chosen as the location for the workshops and roundhouse for the forthcoming trains. As a result, the trains would move through Fraser without their engineers paying the town much notice outside of their blowing whistles. Nonetheless, the people of the valley would embrace the iron horse. Economic potential in Grand County would erupt due to the advent of relatively efficient transportation. Specifically, the lumber industry would boom with the outlet that the railroad would provide. Additionally, people could move between Denver and Grand County easily compared to the wagon roads that formerly provided the only passage to the outside world. As timber and cattle traveled to the Front Range, mail and hard goods traveled back to the Fraser Valley. In years past, just like today, it has been easy to forget the benefits that the railroad has brought to our lives. Certainly, when the train moved into the valley, the people that day realized that their life could slow down a bit. The reality was that the short inconvenience that the passing train brought with its blaring horn, bringing traffic to a momentary standstill enhanced the life and character of the Fraser Valley. It provided power, people, and materials in a unique way that simplified life here. This is as true today as it was in 1905.
was the favorite. Dances were held in grand hotels that remained from the mining boom, such as the Fairview House and The Garrison House in Grand Lake. fiddler would provide the music and serve as the caller. These parties would start in the evening and last all night. The formidable temperatures and great traveling distances were incentive for getting the most out of every gathering. Winter Sports have also always been a popular pastime. Skiing was introduced to the region during the winter of 1883. Snowshoeing and sleigh rides were also enjoyed. well-known comedy "Our Boys" was the premiere performance.